Utmost Caution when using GDPR plugin ! TOPIC: Utmost Caution when using GDPR plugin ! Is there a way to fix this, or any plans regarding the handling of this from your side? Disabling this setting kills e-privacy directive conformity. This warning is not directed against GDPR extensions but informs JotCache users with high emergency obstacle which can occur on the sites. JotCache cookie is used inside domain of Joomla site. 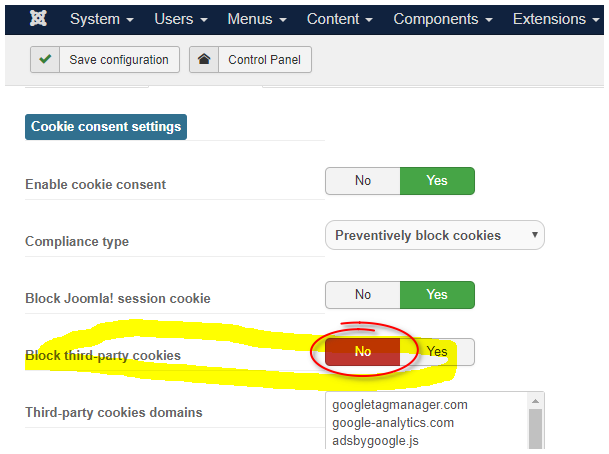 Our understanding of GDPR is usage of cookies in controlable way outside own site domain.